One of the Department of Motor Vehicles' (DMV) major goals is to keep all drivers licensed for as long as it is safe to do so. Along with that goal is the responsibility to enhance highway safety by increasing driver competency. DMV also recognizes that the independence and mobility that driving provides are important factors in the quality of life for most Californians. Many people take their driving test when they have not sufficiently prepared, or have not practiced enough, or have not practiced the right way. Others get very nervous because they don't know what to expect. Remember, the DMV examiner will ride with you only to make sure that you can drive safely and obey traffic laws. DMV wants you to pass your driving test. Study this pamphlet as well as the California Driver Handbook (PDF). Relax and do your best. never been licensed in any state or you hold a foreign country license. a limited term license for specified physical and mental (P&M) conditions. a physical condition (except corrective lenses) and DMV imposes a restriction, or if you are currently restricted and you request that the restriction be removed. an out-of-state junior, provisional, or probationary license. been licensed out-of-state but do not have the license to surrender. 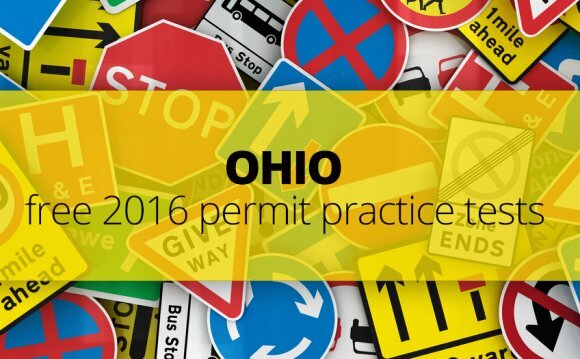 Driving tests for license renewals or holders of out-of-state or U.S. territory licenses are normally waived, if the license is presented. However, DMV may require a driving test at any time. Get enough practice. Some drivers need more practice than others. Minors must complete 50 hours of behind-the-wheel training (including ten hours of required night driving) before taking a driving test. When you practice, pretend you are taking a driving test. Ask your accompanying driver to calmly point out your mistakes. Ask questions about a particular driving situation that may have confused you. Correct your mistakes. The next time you practice, pay particular attention to correct any driving errors you made the time before. The DMV examiner is there to ensure you have demonstrated you can handle your vehicle in regular traffic situations, not to trick you. During your driving test, the examiner will note how you obey the rules of the road and traffic signs and/or signals. He/she will note other areas in which you may need improvement. Accelerate smoothly. Don't race the engine or make it stall. Stop the vehicle gently. Start braking well ahead of where you must stop to avoid sudden "jerks." Know where to stop. Be aware of crosswalks. If your view is blocked at a crosswalk, move forward carefully and look both ways before entering the intersection..
Be sure your vehicle is in the correct gear. Don't grind the gears. Don't coast to a stop. Drive defensively. Anticipate another driver's errors. If you are unsure about your driving skills, review the following DMV publications: Parent-Teen Training Guide (PDF), Senior Guide for Safe Driving, California Driver Handbook (PDF), and the Let's Go for a Drive streaming videos available online at: These publications provide detailed instruction to correctly perform the driving maneuvers required on a driving test, as well as the laws and rules of the road and safe driving practices. If you have any questions, please ask the examiner before your driving test begins. During the test, the examiner will ask you questions or give you directions, but he/she will not engage in general conversation.